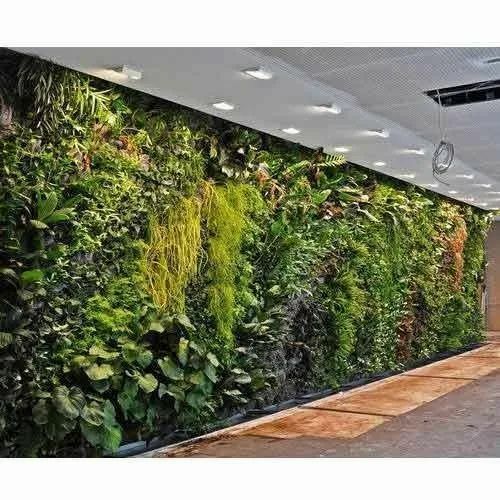 We are offering Vertical Garden Landscaping Services is fashionable and popular providing a simple way to increase the size of your garden by using the walls.Well grown they also act as a piece of living sculptures or garden art. They are a simple and effective way to introduce plants . As they utilize vertical space they are a boon for small gardens everywhere from courtyards to balconies. Vertical gardens are made up of a series of small planting pockets that can be attached to a wall. Established in the year 2018 at Pune, Maharashtra, we “Instinct Earth Aqua-Scaping Private Limited” is a Private Limited Company based firm, engaged as the foremost Manufacturer of Clay Ball, Indoor Vertical Plant, Artificial Potted Plant, Artificial Vertical Garden Wall, Vermicompost Fertilizers, Hydroponic Machine, etc. Our products are high in demand due to their premium quality, seamless finish, different patterns and affordable prices. Furthermore, we ensure to timely deliver these products to our clients, through this we have gained a huge clients base in the market. We are also Service Provider of Gardening Service, Green Wall Installation Services, Green Wall Installation Services.